Live stock farming is a good business to invest into and you can start from any level depending on your capital. I was an awardee of NYSC- MDG's WAP PROJECT during my NYSC year in 2011. During the 2 weeks all expenses paid training by Federal Government in Abuja, we were made to understand that live-stock farming is the next point on the agenda of the federal government and the world generally which turns anyone into a milloniare over night. There is money in this business no wonder the ex president of Nigeria is into it and he is making millions every week. earn big and the good thing about this business is that you can start small and grow it big,chicken is always in demand that’s why there are many poultry farms out there. One of the major customers for poultry farms are the major fast-food outlets like MrBig,Chicken Republic, etc and individuals. Setting up a poultry farm is not that hard, all you need is a space but if you are new into the business,i advice you to start small like me. 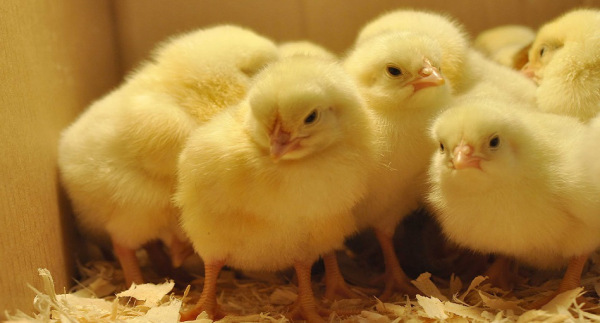 As you know every business needs capital to get of the ground so is poultry business. Setting up a poultry farm requires a lot of money but like i said before, you can start small at least with 100 day old birds. Poultry farming requires a plot of land or in hectare but you can start with a room space, in-fact in your backyard. If you are starting small you need to start with 100 or 200 day old bird but you can go into a large scale with more than 500 birds above as far as you have a ready market for it. Animal feeds,marketing and competitors. You can care for the birds from day old to 8-10 weeks by that time they will be a table size bird ready for consumption. All you need to start this business is a basic knowledge of the business. your local government agencies regulating laws and regulations promulgated for poultry farms. One important thing is adequate Medical treatment for Your Chickens. To ensure continuous production of chicken and eggs, your chickens should be regularly checked by veterinarians to ensure their health. Sick chickens will affect your production. Note,poultry business is a business you create chance for, don't do it with i don't care attitude. You need to regularly monitor your birds for maximum growth and performance. Mind your expenses. The cost of rearing a day old chick to a table size bird around #600 and you can sell it for #1,500 that is a profit of #900. So, if you have 300 birds that is #270.000 profits on 2 months. And you can do this business in circle of four times in a year. Do you need a comprehensive step-by-step blue print on how to start a poultry business from scratch even if you are a dummy? Contact me for guild lines and business plan. I will help you set your small poultry farm up and monitor it till you crop your birds. Contact me now. Please share this article.